After a serious injury, before returning to work it is best to take the time you need to heal physically, as well as ensure that you recover emotionally and psychologically. All too often, injured workers rush back to the job before they are ready. The drive to do so is hard to resist: you lose money away from the job while receiving workers’ compensation, you lose contact with friends and coworkers on the job, and your normal routine is thrown off. Injured workers often feel bored and unproductive at home on the couch, but that is exactly what you should do if you are not 100 percent ready to get back to work. If you thought that your injury would heal in the weeks or months after returning to work, and it did not, you have a few options. You may apply to reopen your workers’ compensation claim if it was closed. You will need an experienced attorney to accomplish this in a timely manner. And, if you return to work but have to miss work in order to attend doctor appointments, physical therapy, and general rest and recovery time, you may receive workers’ lost-wage benefits so long as an authorized doctor supports your absences and/or work restrictions. An experienced attorney can you reconnect with your employer to each other’s mutual benefit. Another option, or an additional option, that you can take is to ask your employer to make modifications to your job. This may mean shortening your hours, reducing the demanding physical aspects of your position if it required manual labor or any heavy lifting, or allowing you to take more frequent breaks while at work, again, so long as your authorized doctor supports your limitations. Unfortunately, it is all too common for workers’ compensation benefits to only pay for opioid pain medication and ignore the true cause of the pain or injury. It is less expensive for insurance companies and employers to push a cheap bottle of pain medication than to perform surgery or pay for months of high quality physical therapy and other tried and trusted methods of recovery. Because of this pill pushing, more Americans now die of prescription opioid pain medication than heroin and cocaine combined, according to the Centers for Disease Control and Prevention. To be sure, 47,000 Americans died from drug overdoses in 2014 alone, with more than half being from prescription medication. Back injuries are among the most prevalent that are treated with high and recurring doses of highly addictive opioid pain medications, according to the Claims Journal. “There’s an awful lot of back injuries in the workers’ comp population and subsequent surgery related to back problems, and back pain is one of the most common indications now of use of opioids in the United States. 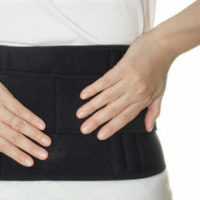 And it’s being used frequently for back pain and it’s being used long-term for back pain,” according to Dr. Leonard J. Paulozzi of the CDC’s National Center for Injury Prevention & Control. By returning to work too soon, you may be jeopardizing your health, your employment, and your financial future. If you were injured on the job and returned to soon, contact an experienced West Palm Beach workers’ compensation attorney of the Celeste Law Firm today at 561-478-2447.